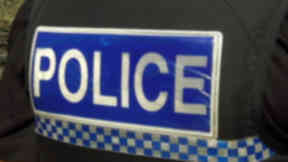 Neil Richardson, Rose Fitzpatrick, Iain Livingstone and Steve Allen to 'lead policing' in Scotland. 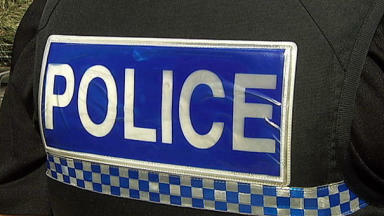 Scotland's new police force has appointed four Deputy Chief Constables. Neil Richardson, Rose Fitzpatrick, Iain Livingstone and Steve Allen will take on Scotland-wide responsibilities from April 1 next year, the Scottish Police Authority announced on Monday. The deputies, who will report to Chief Constable Stephen House, are expected to take up their new roles in the coming weeks and will be based at the Interim Headquarters for Police Scotland at Tulliallan Castle. Chief Constable Stephen House said: "The appointment of four Deputy Chief Constables today is another major milestone in the journey towards the development of the single police service for Scotland and I look forward to working with them. "These officers will be responsible for leading policing and delivering for the public across all communities, ensuring the public are protected from harm and that Police Scotland keeps people safe. "The Deputy Chief Constables are absolutely at the forefront of leading the service now through transition and beyond day one as part of the command team. 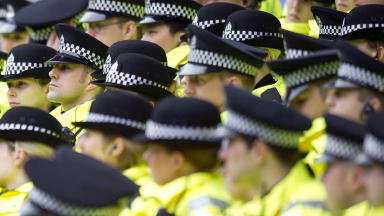 They will be joined in the coming weeks by Assistant Chief Constables who will assist them in delivering the best possible policing for Scotland." SPA chairman Vic Emery said: “The appointment of these four individuals marks another significant step forward in shaping the leadership of the new service. “They bring a wealth of experience of delivering local policing, with an understanding that modern policing must also be capable of responding and anticipating national and international threats. It was clear from the appointment process the passion and commitment they all have for the job ahead. “Each will play a crucial role in supporting the Chief Constable and the Authority in the coming months to ensure the service is ready for day one, and that the quality of police service that the public rightly expect is maintained. 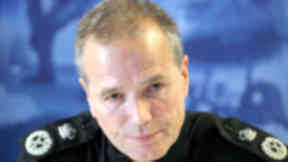 Neil Richardson, who is Deputy Chief Constable of Strathclyde Police and currently on secondment to the National Police Reform Programme, will be Chief Constable House's designated deputy. Rose Fitzpatrick, who has served in a number of Deputy Assistant Commissioner posts in the Metropolitan Police Service including territorial policing, will be responsible for territorial policing. Iain Livingstone, who is an Assistant Chief Constable with Lothian and Borders Police and is currently on secondment to the reform programme working on the creation of the Specialist Crime Division, will be responsible for crime and operational support. Deputy Chief Constable for Lothian and Borders Police Steve Allen, who is the serving Deputy Chief Constable for Lothian and Borders Police, will take charge of preparations for the Commonwealth Games and other major events.